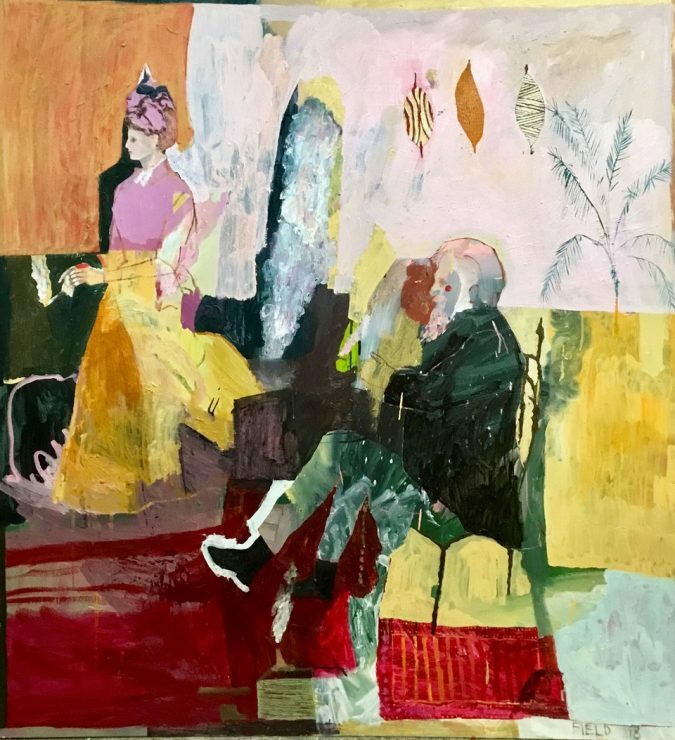 Sam Field, Happy Family (Man Hunting Woman Cooking), 2018, oil on board, 80 x 100 cm. 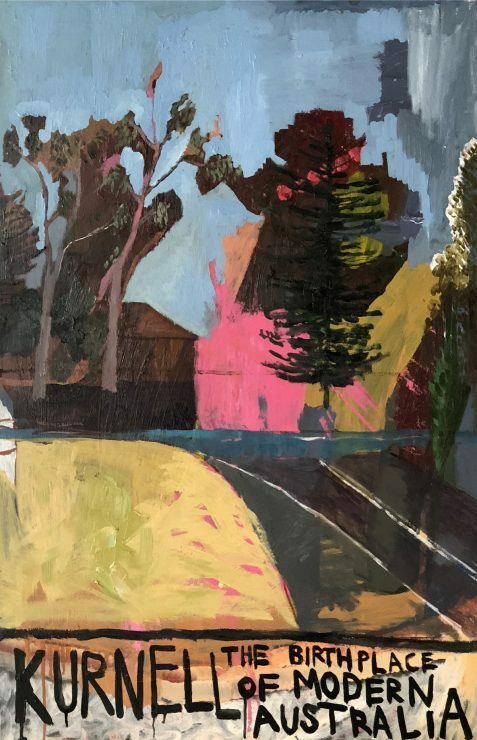 Sam Field, Kurnell the Birthplace of Modern Australia, 2018, oil on board, 80 x 60 cm. 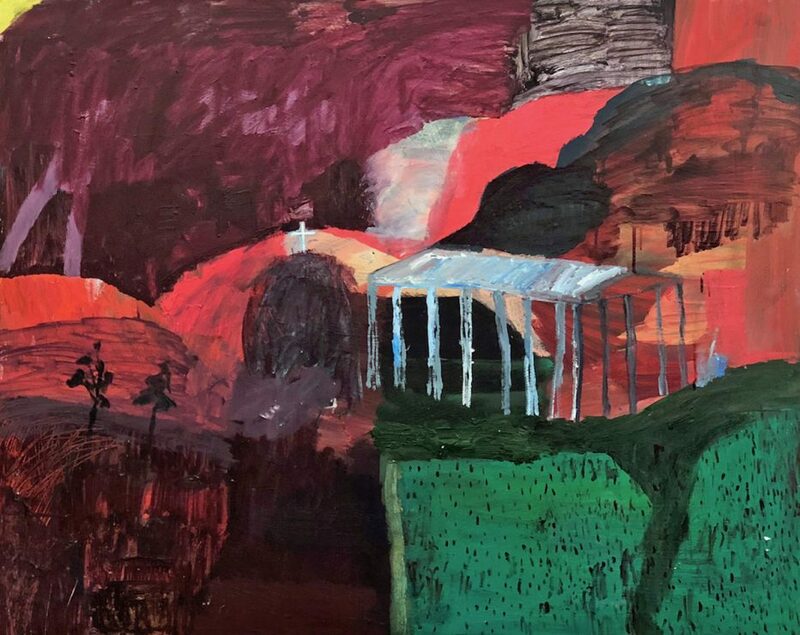 Sam Field, Cropolis Now, 2018, oil on board, 80 x 100 cm. 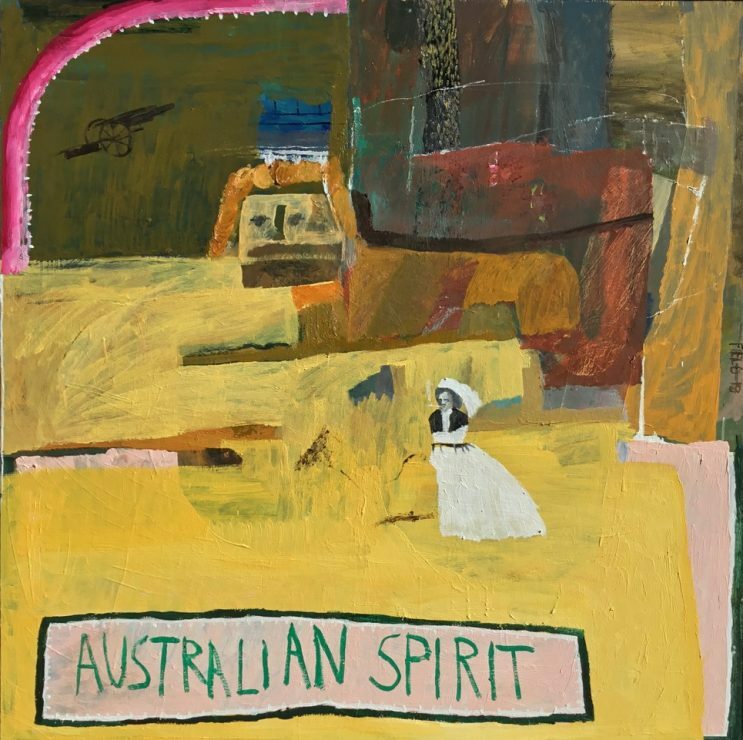 Sam Field, A Brave Woman of the AANS, 2018, oil on panel, 100 x 100 cm. Sam Field, Young Settlers Looking Over Their New Jerusalem, 2018, oil on panel, 120 x 110 cm. 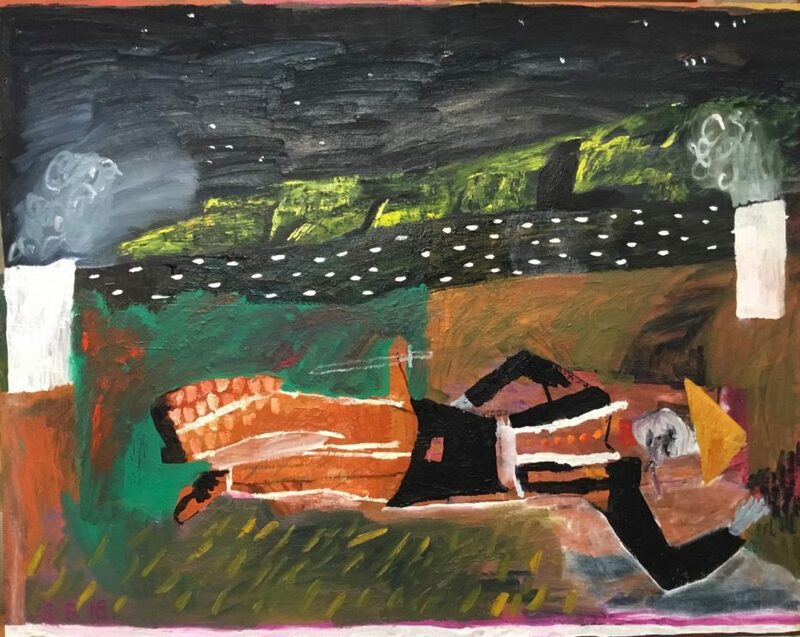 Sam Field, Ludwig Leichhardt Dead in a Ditch, 2018, oil on panel, 80 x 100 cm. Sam Field, Lord Vestey Smoking a Cigarillo, 2018, oil on panel, 100 x 80 cm. Sam Field, Grog Box (have one on me), 2018, oil on panel, 120 x 130 cm. 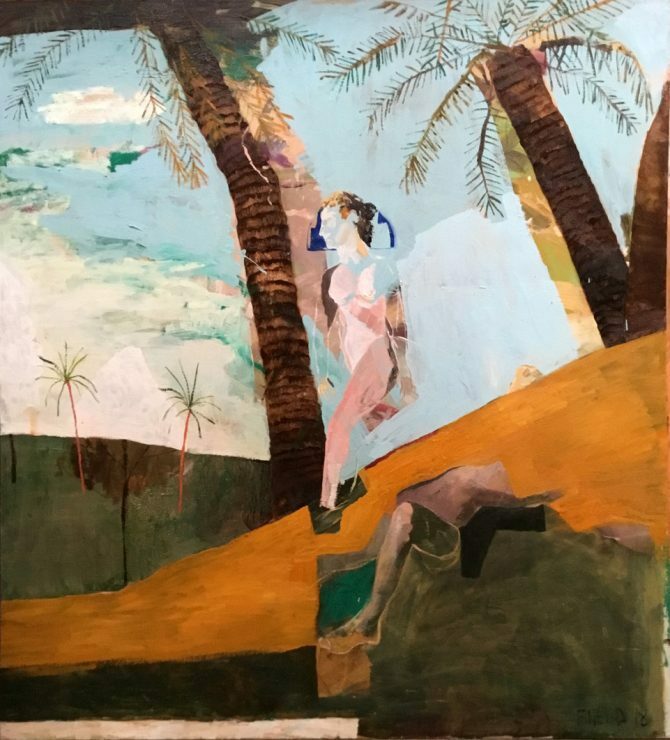 Sam Field, Young Settlers Looking Over Their New Jerusalem, 2018, oil on panel 120 x 110 cm. 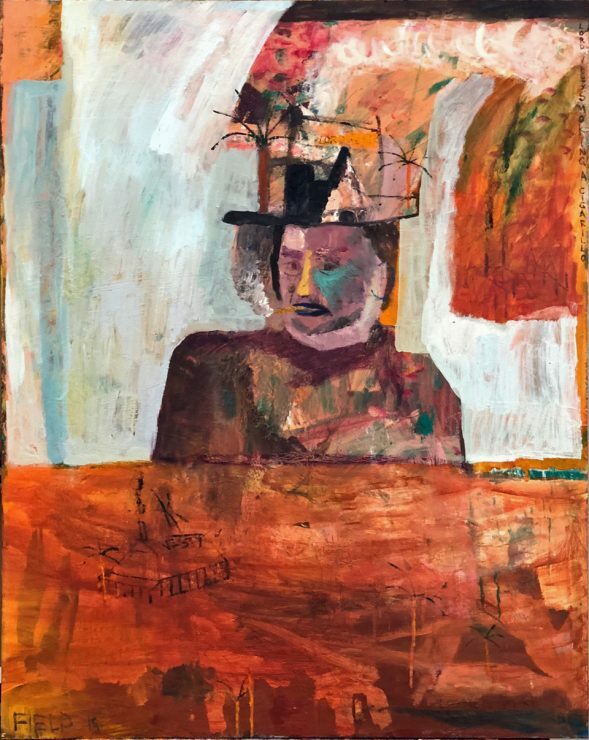 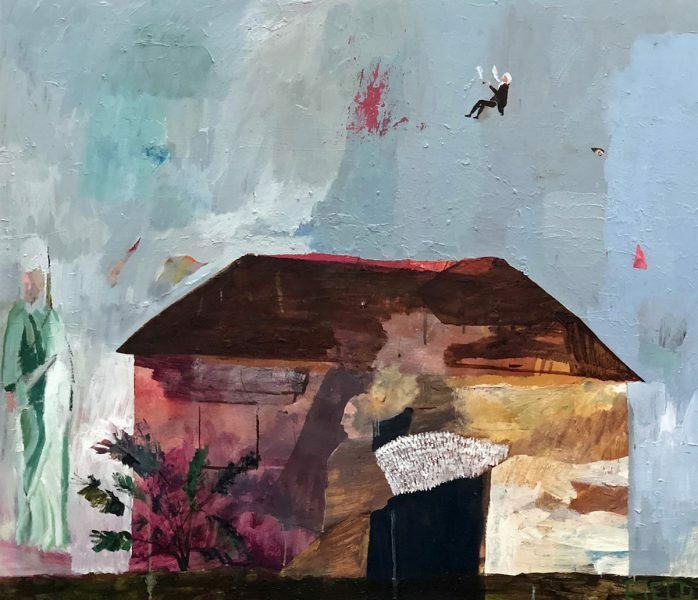 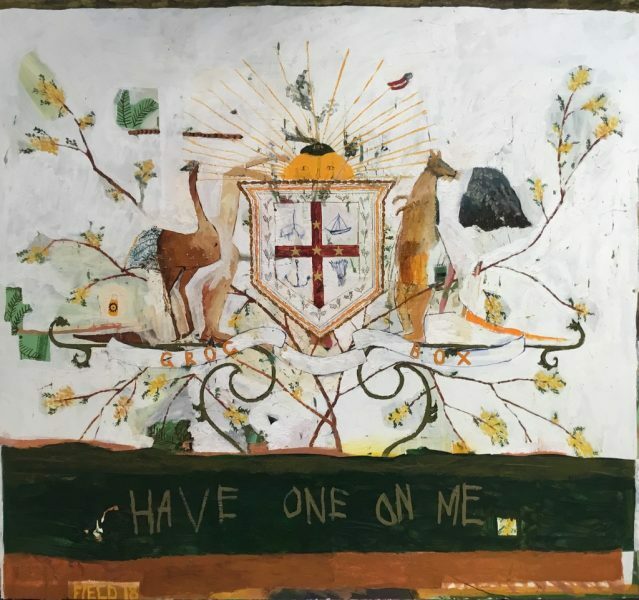 Field’s exhibition Have One on Me blends semiautobiographical elements with visions of colonial history, recycled through a youthful lens that is both derisive and heartfelt. He describes his images as “neo-history paintings” and in Have One on Me, Field visually prods colonial settlements, migration and the myth of Terra Nullius, a term meaning ‘nobody’s land’ wrongly applied to Australia by the British Government in the 18th century. 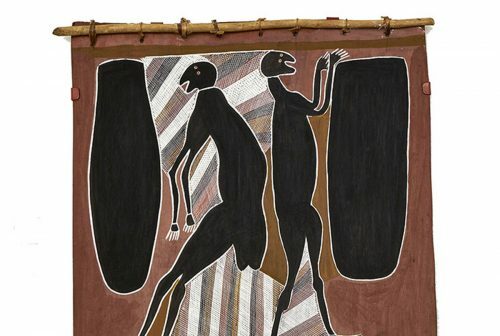 This article first appeared in the September/October issue of Art Guide Australia.